Picture Head’s completed ‘Sound 7’ 5.1 mix room/sound stage centers around marquee technology including a Blue Sky Big Blue 5.1 system. 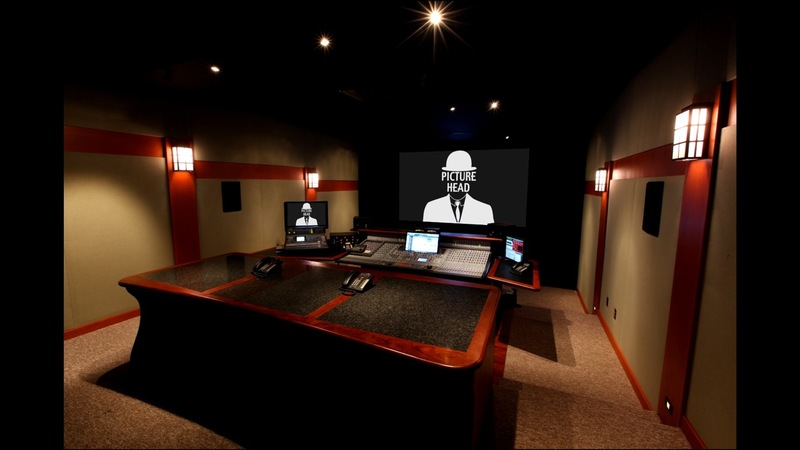 As one of the leading post-production facilities, Picture Head has offered a full scope of creative solutions for the audio/video, film, television and new media industries since opening its Hollywood headquarters in 2000. For a decade, they’ve provided full-service finishing and supervision in the areas of high-definition video, sound, color-correction, advertising and promotional services, and new media technologies for a host of clients including Disney, Paramount, MGM, Warner Bros., Overture and many others. 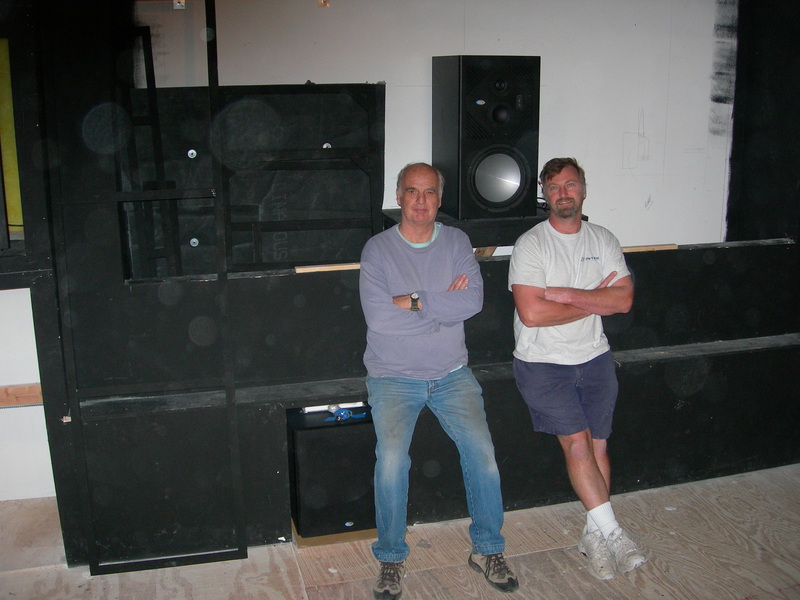 In April of 2010, the studio embarked on the build-out of a 5.1 mix room/sound stage—Sound 7—under the guidance of Mark Herscovitz, PH’s Director of Sound. 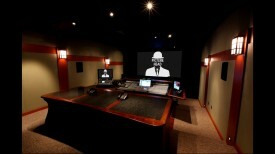 Herscovitz enlisted audio design consultant Charles Pell of Cobalt Blue Technology, along with Colin Ritchie of the Los Angeles-based full-service production design house, Aarmadillo, to specify and facilitate the purchase of much of the room’s audio and video equipment. Sound 7’s marquee technology centers around a Digidesign 32 channel Icon D-Control, flanked by a JVC DLA-RS10 HD projection system, a Stewart Filmscreen 10’ perforated screen, and Blue Sky Big Blue 5.1 monitoring system comprised of three SAT 12 mains in the front wall, a SUB 15 Universal and four in-wall I/ON surround speakers along the sides. At Right: Joe Purcell (L) and Tim Fejtek at work during initial build-out.